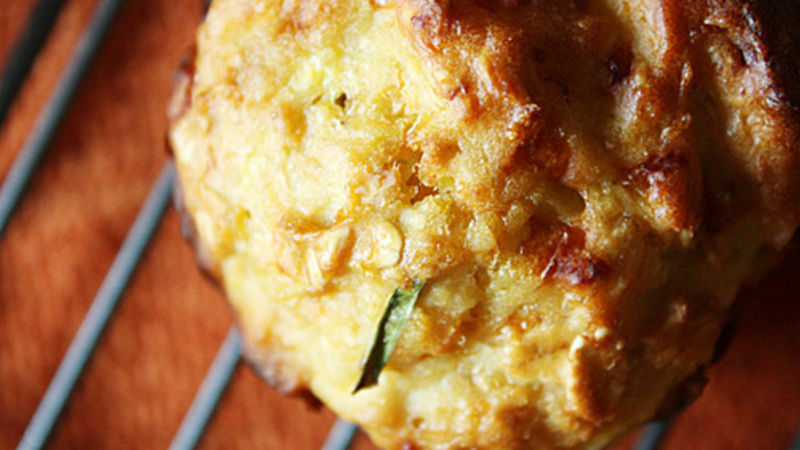 Preheat oven to 400°F and butter or grease a 12-cup muffin tin. In the bowl of a stand mixer, combine squash, water and eggs. In a separate medium bowl, sift together flours, baking powder and salt. Add to the large bowl scallions, cheese, oats and honey. Pour in flour mixture and mix until just combined. Fill muffin tin cups about 3/4 full with the batter and bake about 15-20 minutes or until the muffins are a golden brown. Remove from oven and allow to cool about five minutes on a cooling rack before serving. Color 1 1/2 tubs of frosting bright red. Color 1/2 tub frosting a light skin color using peach or orange icing coloring. Spoon colored frosting into disposable pastry bags. Cut tip off bags. Pipe a small amount of frosting in between the cake pieces to attach them together. Pipe red frosting over Santa’s body, upper arms, upper legs, and hat. Pipe light skin-toned frosting over the hands, feet, and face. Smooth frosting out using a metal spatula.